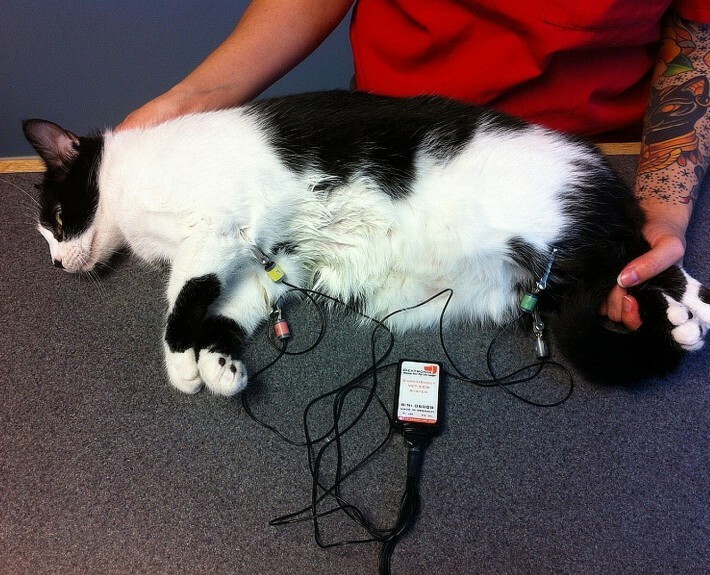 Each VET-ECG set includes one transmitter recorder, ECG electrode cable, USB cable and power charger. 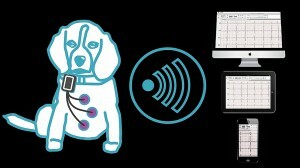 VET-ECG is an easy to use wireless 3-Lead, 6-Lead and 12-Lead resting ECG system. 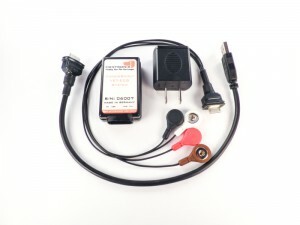 The matchbox size transmitter simply connects to the electrode cables and these attach to the patient via special non-pinching clips. The recorder collects and immediately sends all data via Bluetooth for live viewing to either a computer or mobile device. 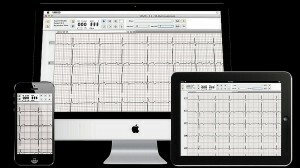 The recorded ECG can be easily edited, analyzed and shared with others. 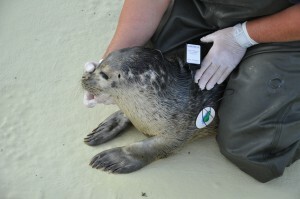 Bluetooth connectivity creates independence allowing the operator to control the recording device using their preferred mobile device or computer while keeping a safe distance from the patient’s claws and teeth. The durable recorder design is splash and shock proof and easy to clean. The cables are HDMI shielded to improve signal quality and enforced for daily use in rough veterinary environments. 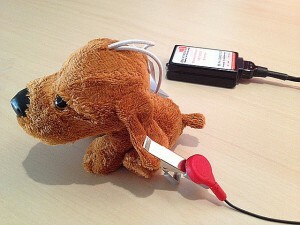 In comparison to other systems for veterinary use the VET-ECG is the smallest recorder that works on both Windows PC and Apple OS computers. Mobile users appreciate the additional Google Android or Apple iPad/iPhone compatible Apps that connect to your preferred mobile device. All recorded data can be easily uploaded to desktop computer for analysis. 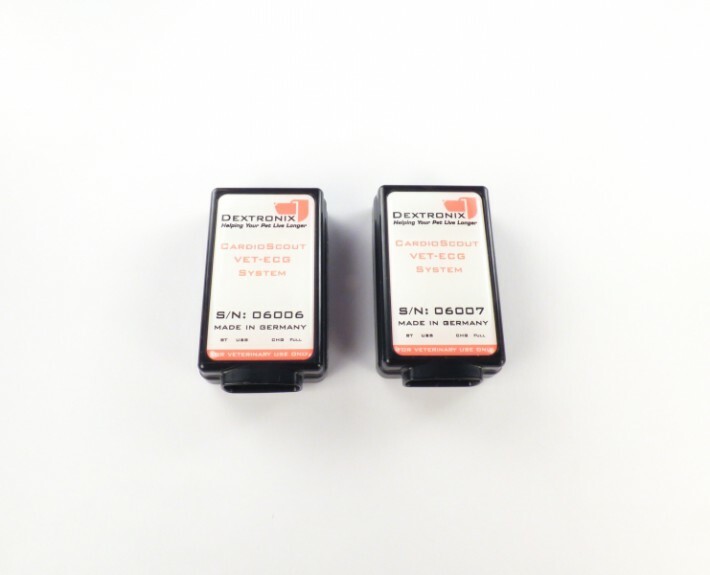 The built-in Lithium-Polymer battery is specified for continuous recording for 24 hours before recharge and will last many years. In addition to the standard VET-ECG software using advanced algorithms and superior muscle and 50/60 Hz filters a special (optional) Interpretation Module offers advanced analysis algorithms. VET-ECG is ideal for mobile practitioners that travel light and in-hospital users interested in a technically very advanced resting ECG solution favored by many human cardiologists in Germany. Besides the standard 6-Lead configuration, cardiologists will also like the 10-pole configuration for chest-lead measurements. VET-ECG simplifies ECG recording, viewing, analysis, and makes report generation, and sharing thereof via email or printing very easy. Every system also includes wireless/cloud based data exchange and server up-link (requires activation) which seamlessly secures recordings within the hospital network or communicates with your or our experts helping you to analyze your patient. 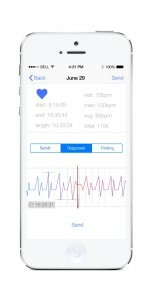 It is the only ‘Made for Apple’ diagnostic multi-channel ECG currently available that offers mobile computing with Bluetooth connectivity. With the built-in Holter recorder function, it is a truly All-in-One system that includes real-time resting and exercise ECG, Holter, event monitor and telemetry in one recorder. Would you like to test the VET-ECG on your patients? 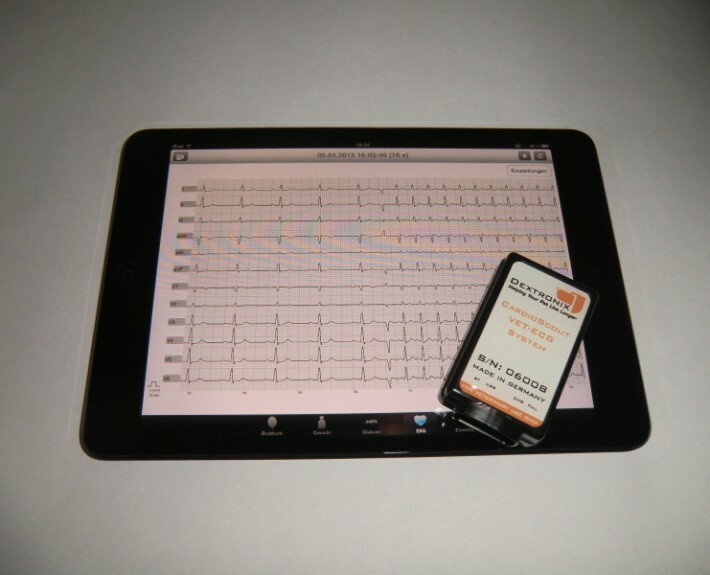 Resting ECG, Holter and Online Monitor in one. Small, matchbox sized recorder is perfect for use with cats, dogs and horses. Screen patients and instantly display and analyze results on your computer or mobile device. Conveniently monitor patients wirelessly at rest and during exercise from a safe distance. View, analyze and share your results with your colleagues and clients. 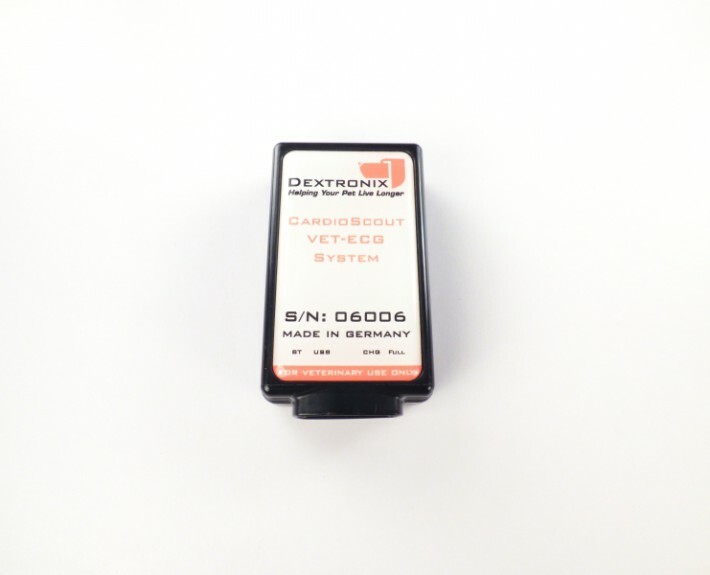 Use sophisticated software filters and display functions designed for Mac and PC or the ‘Certified made for Apple iPod-iPhone-iPad’ and Android App. Highly accurate 6-Lead Capability multi-channel ECG recorder with intregraded 3D high resolution accelerometer measures activity profile and enhances artifact detection. Intuitive and easy to understand software features save you valuable time and ensure quick and reliable recordings. 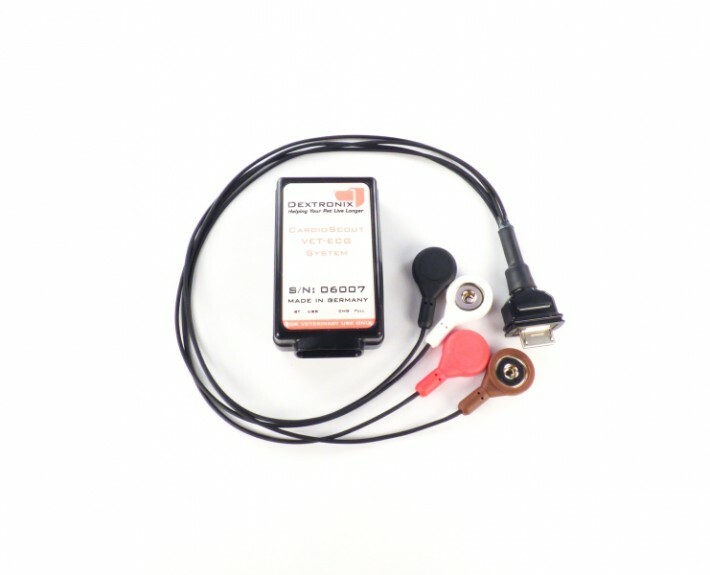 Splash proof and shock-proof recorder design with animal friendly electrode cables. Dr. 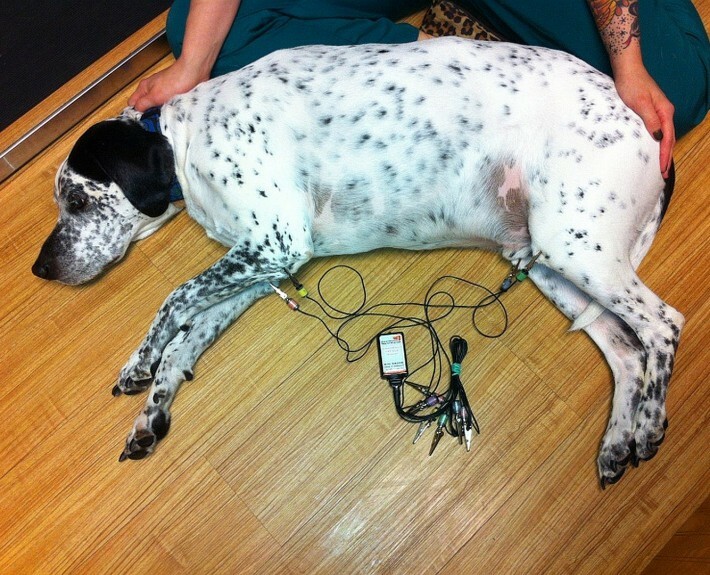 Brewer recorded over 400 ECGs in the first 6 months with VET-ECG. VET-ECG works best with proven soft veterinary Alligator clips. 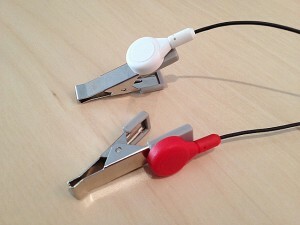 We offer a variety of clips with and without banana plugs for use with our ECG systems or other applications, e.g. ultra-sound. We tested several commercially available clips from different vendors and selected the ones you see here because we think they are really good. 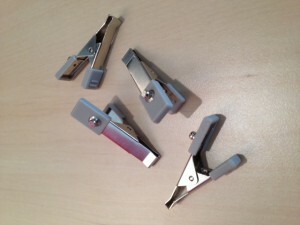 But feel free to use your own clips.. our clip-on electrodes will fit most standard clips in the industry.